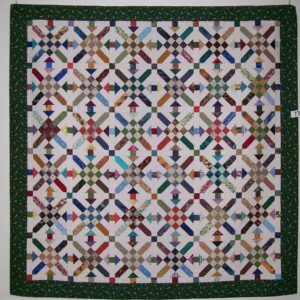 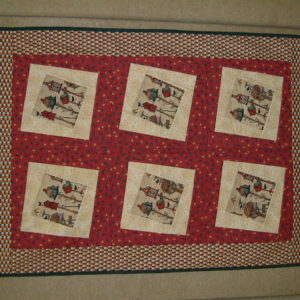 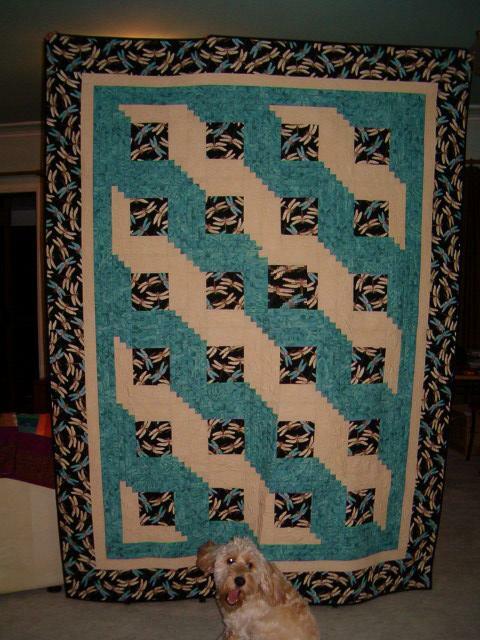 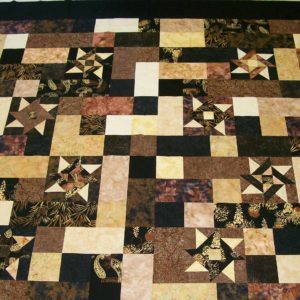 This quick bed quilt which looks a little like a log cabin with a lot less piecing, has been designed with generous sizes. 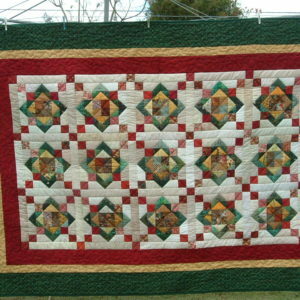 Only three fabrics required – This can look great in Japanese prints or when bold prints are used as the main fabric. 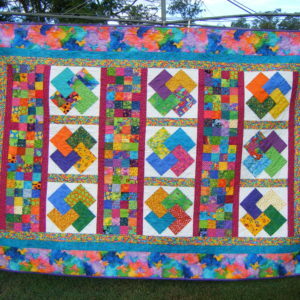 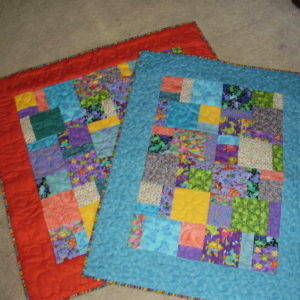 This block has many layout options and a page of variations is provided.